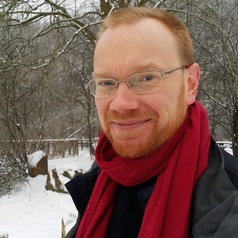 Anders Drachen, Ph.D. is a Professor at the DC Labs, University of York, (http://www.digitalcreativity.ac.uk/) and a veteran Data Scientist. His work in the game industry as well as in data and game science is focused on game analytics, business intelligence for games, esports analytics, monetization, data mining, game user experience, industry economics, business development and game user research. His research and professional work is carried out in collaboration with companies spanning the industry. He writes about analytics on www.andersdrachen.com. His writings can also be found on the pages of trade publications such as Gamesindustry.biz and Gamasutra.com. His research has been covered by international media, including Wired, Kotaku and Forbes. His research work was recognized with best paper awards at MindTrek (2009); AIIDE (2015) and ICEC (2016). He is a former Lead Analyst for SaaS provider Game Analytics. He the most published scientist worldwide on game analytics, virtual economics, user research, game data mining, and user profiling, having authored >100 research publications on these topics. He is also editor of “Game Analytics – Maximizing the Value of Player Data”, a compendium of insights from more than 50 top experts in industry and research. He is a former member of the board of the IGDA SIG on Game User Research.